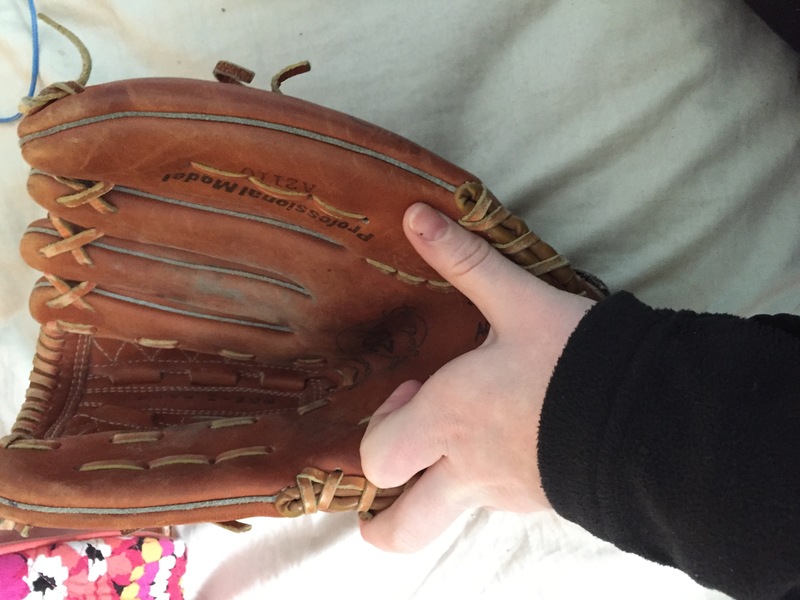 Size small Wilson left- handed baseball glove. It has been used which is good because it has already been broken in. There are no tears or holes, just proof of a few years of baseball love.